Lenstec Optical Group are committed to setting the benchmark in training and performance through our culture. We proudly hold Investor In People accreditation and have engaged in developing our staff through the new Sixth Generation Standard. Lenstec Optical Group values the engagement and involvement of all our employee’s by investing in and developing our people. This investment is a key requirement to improve our service, quality and delivery of products to meet our customer needs. Our core values ‘RESPECT’ have been developed by our staff and are the heartbeat of our organization. Teamwork by working together, supporting one another, making our work environments enjoyable as possible. 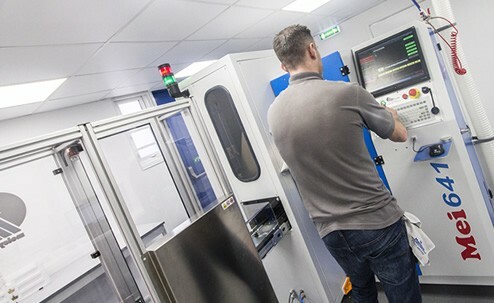 As a forward-thinking company, it is a conscious decision on our part to invest heavily in the latest equipment, technology and staff training. These continual investments ensure we can meet the challenges ahead in the independent sector, exceeding your expectations and guaranteeing our continued success. Our ongoing relationship with the very best, industry-respected suppliers put us in a great position and enables us to supply you our customers with the highest quality products and excellent service on the market today. We consistently work on these core principles to meet your needs and the needs of your patients. The Lenstec Optical Group would like to be the preferred and first choice for spectacle production and supply to the optician.